This truck is EBRO D-150, build in Spain. Is an Ebro, but not a D-150. In D-series, lights were rounds. This is an E-series, an E-35 or E-60. This is a truck "EBRO". 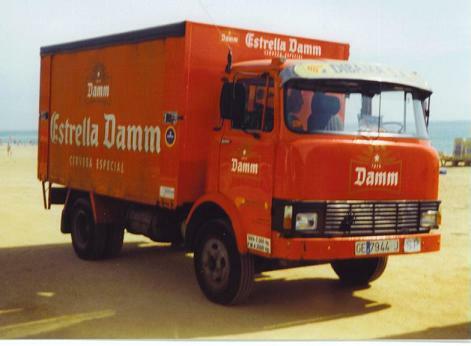 The manufacturer started with for Spain an adaptation of british "Thames" trucks. Later on the factory was sold to Nissan motors and curretly makes nissan cars and vans. Ebro is the name of one important river in Spain as Thames is in UK. This is the reason of the name.